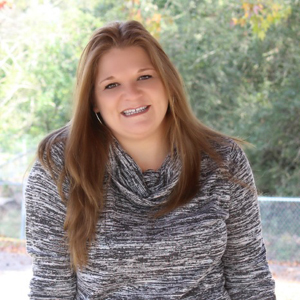 By Kristi · 9 Comments · · Disclosure: This post may contain affiliate links. Using an affiliate link means, I might earn a commission from any purchases through that affiliate link. Turkey is a staple in our house for many reasons, with the most important reason being that it is so lean! That reason alone makes it perfect for summer, Thanksgiving or just about any time of the year!! Thanksgiving is just around the bend, and that means it’s time to start planning our Thanksgiving spread (see tips below) and indulging in a delicious smoked turkey this holiday season! 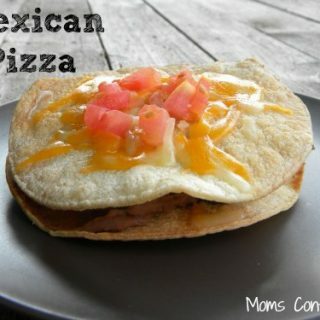 Come on…you know you want to make this recipe! 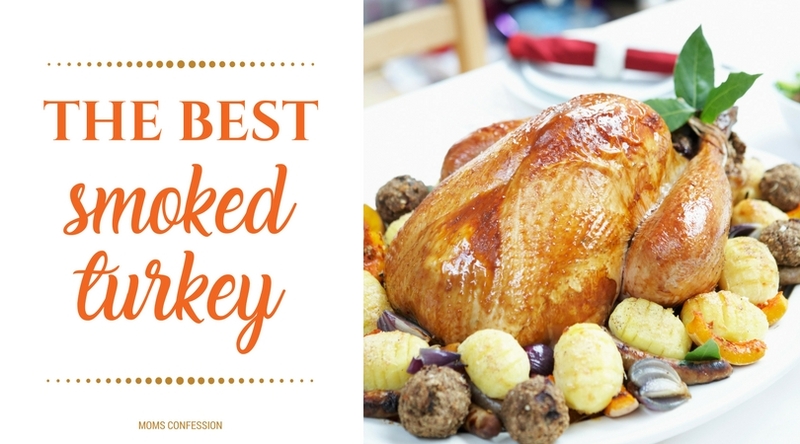 If you have are looking for more Masterbuilt Smoker Recipes to try with your Masterbuilt Electric Smokehouse…this is the smoked turkey recipe is for you! Let’s dig in! Remove extras from turkey cavity. Stuff orange, apple, celery, fresh tarragon, and fresh thyme. Sprinkle a liberal amount of Slap Ya Mama Cajun Seasoning or any other Cajun seasoning of your choice. Place in a lasagna aluminum foil pan. Fill water bowl to water fill line. Place wood chips in the tray. Open vent at least halfway. Preheat Masterbuilt Electric Smokehouse to 250˚. Place turkey in pan on middle rack. 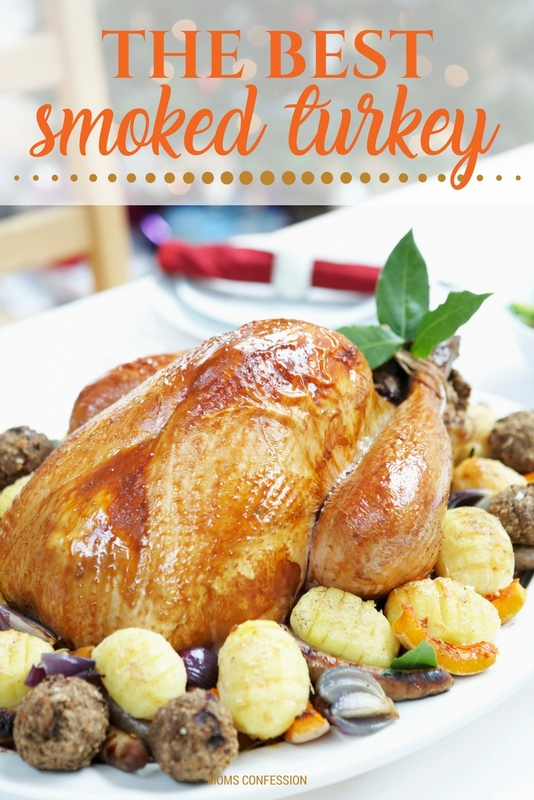 Smoke turkey anywhere from 6-8 hours or until internal temperature is 165˚. Allow 2-3 days for the turkey to thaw out in the refrigerator. Cook 30-40 minutes per pound. Get the printable recipe for this Perfectly Smoked Turkey below our tips. The holidays are such a busy season, it can often be overwhelming to plan a Thanksgiving meal on your own. These tips will make it much easier or you to manage a delicious meal without feeling overwhelmed. Include this meal in your monthly meal plan. One of the biggest hassles when it comes to Thanksgiving meal planning is the budget. It can truly mess up your regular household budget if you haven’t planned ahead of time. While it is hard to do, I think it is best to include Thanksgiving dinner needs into your regular monthly budget. 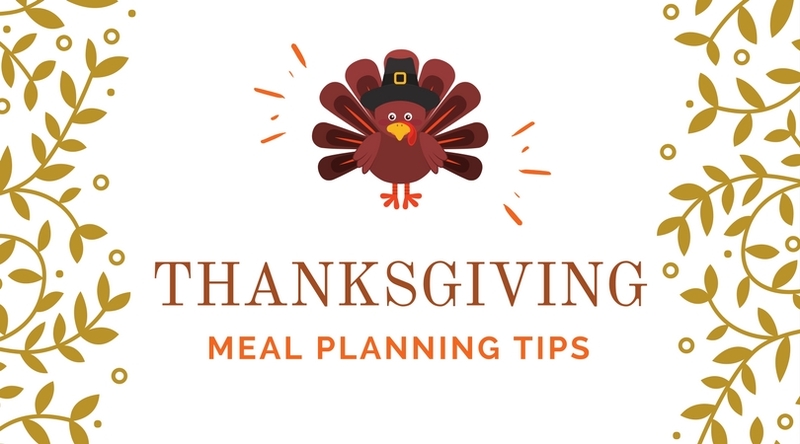 If your budget is limited already, take the time to figure out ways to make those Thanksgiving specific groceries work for you to create meals the rest of the month. Things like cooking a ham at Thanksgiving can produce a ham bone that is ideal for making split pea soup with later. Leftover turkey can be used for soups, casseroles, and sandwiches. If planning in advance and utilizing the great holiday sales, you may be able to limit your extra expenses considerably. Cook sides and desserts in advance. When it comes time to really look at meal planning for this big day, consider cooking some items in advance. This is such an easy and fast way to really cut down on the time spent in the kitchen on Thanksgiving Day. It also helps you to see ahead of time if you need more food or are missing any supplies. Potatoes, casseroles, vegetables, and most desserts are easy to make in advance, properly seal and label to freeze. I prefer using Pyrex Glass Storage Containers to do this since they are perfect for going from the freezer to the refrigerator, to oven for reheating (after bringing to room temperature). The day before Thanksgiving, you can bring these items out of the freezer and put into the refrigerator to thaw. On Thanksgiving morning, prep has been done and all you have to worry about is reheating those dishes. Thanksgiving Recipes, Craft Ideas, And More! Utilize slow cookers to keep foods warm. The key to meal planning success on Thanksgiving, in my opinion, is to use your slow cookers a ton. With limited space in the oven, it can be tough to get everything ready and hot for your guests. I am a huge fan of slow cookers and know how much they can come in handy. They are especially useful if feeding a large crowd that will be eating at different times. I recommend borrowing or buying enough for your big meal, but the large 6-quart slow cooker, a small 2-quart slow cooker, and the casserole size slow cooker are my personal favorites. Open vent at least half way. 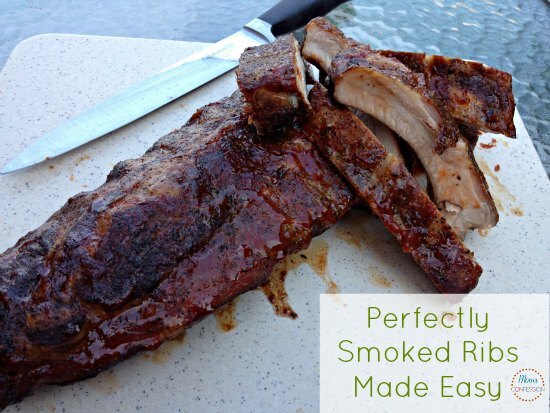 If you’re looking for more Masterbuilt Electric Smoker Recipes, try these Perfectly Smoked Ribs! 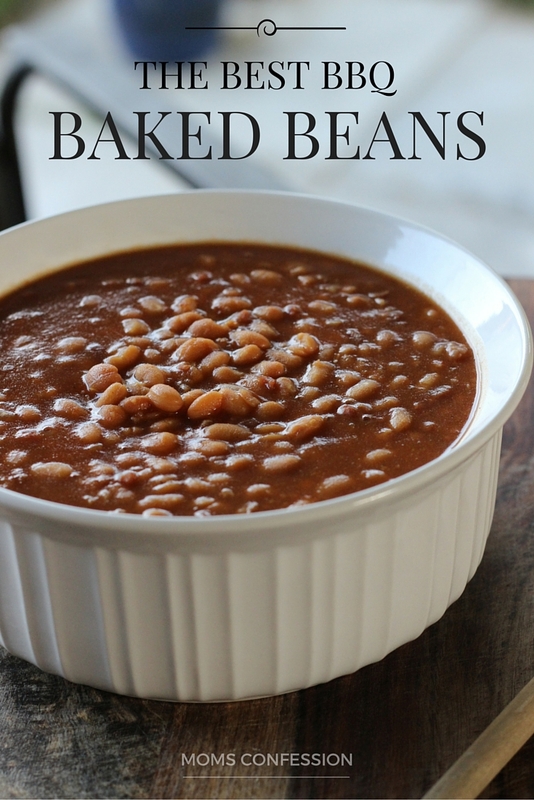 Serve up this smoked turkey or ribs with a side of these scrumptious homemade baked beans. Recipe for turkey worked perfectly. 12.5 lb frozen injected turkey, 235 degrees smoking temp, used hickory with a little apple wood for smoke. Smoked for only first two hours. Cooked until thigh temperature reached 162 degrees, around six hours. Everybody raved about the flavor, juicyness and tenderness of the bird. Used another brand of Cajun seasonin. I really enjoyed this thank you! Last year I did a turkey with cherry wood. With cherry coke in the water pan. On a aluminum roasting pan.aND injected the bird with Creole butter marinade it came out juicy and so tender that when I took it out and placed it on the table the wing fell off. Thanks for the great comments. We are doing a 17 lb turkey tomorrow with little experience with smoking anything. We experimented with a whole chicken (fantastic) and ribs (probably should have cooked longer. I’ll post on how we made out using our Masterbuilt for Turkey Day. Plan to use a fruit wood for smoking and regular Cajun all spice for the final rub. We are big gravy fans and hope that the dripping will be usable for making gravy. Am doing this bird today with Hickory chips, 6 hrs seems long the temp of the breast is 190 at 4 hrs.. wonder what amount of thyme and Tarragon. first time smoking so kind of anxious to see how this comes out, I was a little to anxious at the start, had to pull the turkey back out and get the giblets bag out, my wife is so helpful ! well it turned out awesome! used a tablespoon of each of the spices and 6 hrs. probably could have done more chips early but it was drop off the bone perfect! The turkey looks tender and juicy. Now, I know what smoker I should buy. thanks for sharing.